The on-demand economy created a bend on the way people perceive everything. This also includes the hospitality and travel industry. This is why companies like Expedia get billions of dollars evaluation in about 20 years of time span, in spite of their business model is widely perceived by numerous companies. 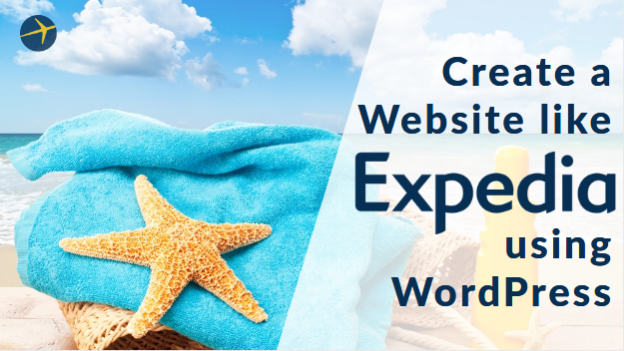 Many people out there are looking to get a WordPress website with features like Expedia.com. Websites like Expedia are not hard to make if understood correctly. In this article, we are going to talk a lot about Expedia and identical websites. Their nature, layout and how WordPress can play a crucial role in the construction of such websites. We talked too much about Expedia. Let’s talk what exactly it does and how can we build one for us. First things first, imagine for a moment if there is no Expedia, nothing. Now you want to travel some place which is on the other side of the World. You have no idea what language they speak or any local custom of theirs. How do you intend to go there for a perfect vacation with so many uncertainties around? Expedia generates its idea from the problem question given above. And this is where the concept of online booking system arises. And it is the ultimate solution to the problem mentioned above. online booking system- your one place of destination for all the travel related issues and arrangements. So, initially, an online booking system enables you to book accommodation, arrange transport, plan travel itineraries and so on. In a nutshell, online booking system is a virtual assistant of all sorts which can make your travel safer and smoother. Make the perfect use of WordPress development by presenting the finest website of yours! Expedia was formed internally, by a small division inside Microsoft in 1996 as an online travel booking website Expedia.com. This gives the consumers a revolutionary new way to book travel. The current scenario is entirely different. Now, Expedia is owned and operates several global travel brands, travel fare aggregator websites and travel metasearch engines such as Expedia.com, Hotels.com, Hotwire.com, Venere.com, Travelocity, trivago, HomeAway, and Orbitz. In a nutshell, Company handles more than 200 travel booking websites in 75+ countries and has a listing of 350,000+ Hotels and 500+ Airlines. The name Expedia is derived from two English words, “Speed & Expenditure”. To be precise it was founded as a small division of Microsoft in October 1996. Then it split off with Microsoft in 1999. In December 2011, Expedia Inc spun out TripAdvisor Media group, to retain its portfolio for the brand of travel transaction. Till 2015, Expedia acquires Wotif.com for $658 million; Travelocity for $280 million; Orbitz for $1.2 billion and HomeAway for $3.9 billion. Also Read -> In-House or Outsourcing WordPress Development – How to Make Final Decision? 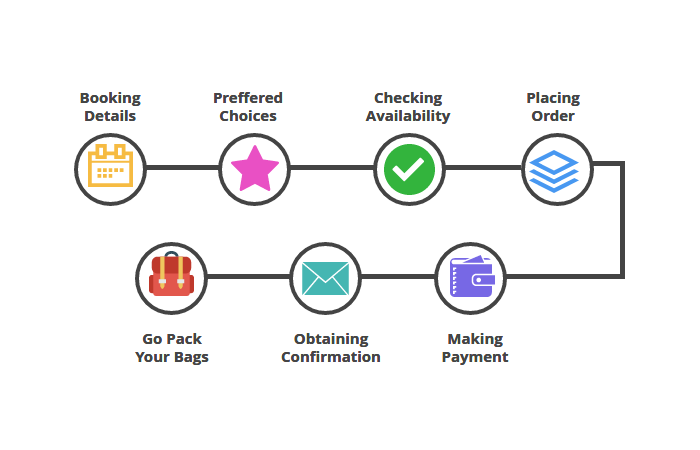 How Online Booking System like Expedia Works? An online booking service or website works in a simple format. They follow a simple guideline in order to fulfill the need. Let’s see what are those guideline or I prefer saying that RoadMap. Also, this is worth noting that this will also be followed while creating a website like Expedia. When you work on this guideline, there is no drawback (initially), however, the execution is very crucial in the online booking system. Allow me to elaborate the road map. This system will initially start work by capturing the requirements for booking which is provided by the traveler on the website. 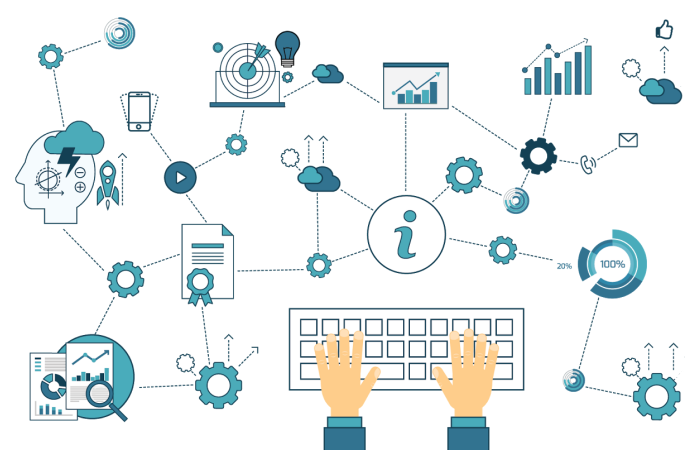 There are cases where the website could be linked to a property management system (PMS) for a real-time update on the availability of the services. Now, in order to do that the traveler needs to provide some intangible information such as Name, Email ID, Contact Details, Destination, Check-in date, Check-out Date, the number of rooms required and any other travel arrangement required. Now, since everything is finalized, the user just need to make the payment through a secure payment gateway. Ideally, a good travel website like Expedia accepts payment through a highly secured payment gateway all across the globe. The user can make the payment from his credit/Debit, net banking or E-wallet such as Oxygen. As every detail is given to the backend to process it and make the necessary arrangements. This is the exact way an online booking service works. We build powerful & custom WordPress website to boost your business online. We’ve talked enough about the Expedia. 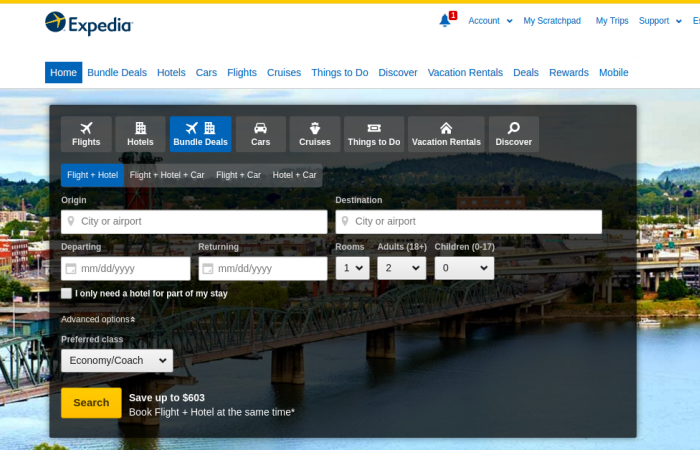 Now we know how Expedia was made, but you have no idea how your travel website will look like. So, I created this section just for that task. In this section, I am going to give you ample of food for your thoughts to provoke your zeal to make a travel website and put it on the canvas of WordPress. The first thing you have to ask yourself, exactly these questions and then find answers. For your convenience, I have answers as well so you can just go through it as you’ll have a lot of work to do to make your ideal travel website. What Makes a Quality Travel Website on WordPress? First, you’ll need to understand one core reason, WordPress travel booking website can be for three reasons separately or may be all together. Promoting particular brand (Airlines, Hotels or travel agency). Selling packages of their own in collaboration with hotels and transportation. Spreading awareness and news and latest happenings happening all around the world of tourism. Now, what all these three points have in common? First, they all need to connect to their audience. Second, they have to create a sense of urgency or sense of action from their audience to drive them to take actions. So, in contrast of above pointers, a good tourism website needs to focus the needs of their audience. After that, they focus on business that owns the site. The most important thing they have to take care of is the quality of the deals they have to offer to their audience. In order to be exactly like Expedia you might want to take a look at the quality of the deals they offer apart from the design of their website. Checkout – How Much Does A Custom WordPress Website Really Cost? What is your Perfect Design for the Website? WordPress Travel website usually aims at user easiness (As every other website does). However, they have to take a serious consideration to make their website quite authentic or else viewers might not get interested in anything you have to offer. So, in a nutshell, you have to take care of the authenticity of your website. It must have a window to use the brand. What is the point of a website if there is no space for a brand. You must make your WordPress website brandable. It must be mobile responsive. Yes, you heard it. Your travel booking website must be fully responsive. Yes, we all know mobile responsiveness is crucial for every WordPress website yet there is a special requirement for a travel booking WordPress website. Most of the traffic comes from mobile for these websites. You can guess the urgency here. An Availability Checker- Your homepage must have an availability checker so that a viewer can easily check the availability of flights, hotels, and other necessary niches in order to effectively plan their journey. Manage Trips Option- This can actually be very productive. Letting your viewer manage their planned trips in your website can help you to build a rapport with your viewers. Include a Travel Blog- You must include a blog in your WordPress website. This traveling blog will spread a healthy message to your visiting crowd and certainly motivate and resonate them to make a trip of their own. A separate tab for Deals- This is very crucial that you highlight your WordPress website’s brownie points. Else, your viewers cannot differentiate you from your competitors and you surely not going to like that. Yes, you must have a homepage that changes frequently. If your viewers see the same homepage in the entire decade, then how can you expect them to stick around. Make them realize that you’re always working to make their experience good. There is not just that. You also need to catch up with the latest demands and needs of your visitors’ hands on. So, your homepage must always have opportunities for changes. In addition to changes, the planner I discussed above must be dynamic. So, what is your call for your Travel WordPress website? If you’re already working on your WordPress Website then you might want to consider all the above points given. They might help you to make a better decision on your website structure and layout. When you’re done with your WordPress website, share your experience with us.